Computer maker HP hopes the Ultrabooks will contribute up to 15-20 percent of its notebook PC sales by 2013-end in view of increasing number of users going for devices that are lighter and faster. Currently, the Ultrabooks comprise less than 10 percent of shipments for HP India. "We expect that by the end of 2013, 15-20 per cent of our volumes will be that of Ultrabook and by 2014-end, it should be around 40 per cent. We have a strong lineup of products and across price points, which we think, would be a crucial factor," HP India Vice President and General Manager (Printing and Personal Systems Group) Rajiv Srivastava is quoted as saying. Ultrabooks, the new generation notebooks, come with various advanced features such as longer battery life, shorter booting time and weigh lighter, as compared to the traditional notebooks. The leading computer makers are having high hopes from the Ultrabooks segment in view of a bigger margin opportunity. In India, prices of the Ultrabooks, starting from less than Rs. 50,000, and go beyond Rs. 1 lakh, depending upon the specifications. Manufacturers such as Dell, HCL, Toshiba and HP have already launched their Ultrabooks in the market, and are likely to come up with some more in coming months. "Currently, the contribution of ultrabooks to the overall notebook market is low. Its also a function of popularity and pricing. As more people go for ultrabooks keeping in mind the functionality and more affordable devices come out, the category will only grow," Srivastava commented. 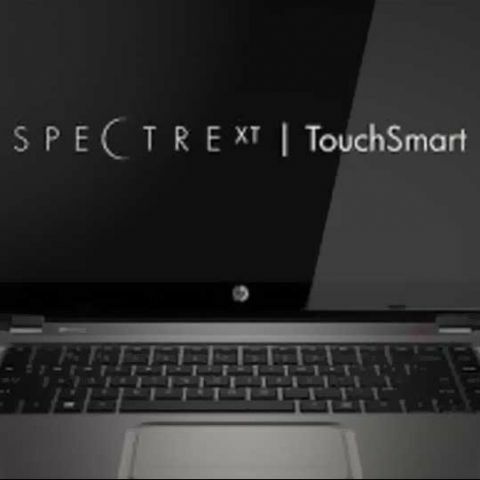 On speculations that the Ultrabooks may not do well in India due to its price-sensitive market, the HP official pointed out that the buyers are generally those who already have a PC earlier, and are willing to shell out more money to get a good device. According to a hardware industry body, MAIT, PC sales in India have risen by 16 percent in 2011-12 at 10.8 million units. Netbooks and notebooks sales grew by 26 percent, while desktop category rose by 11 percent in 2011-12. MAIT estimates the PC sales are likely to grow 15 percent (by 12.4 million units) by FY 2013. Even though there's a lot of optimism for the Ultrabooks segment, Gartner's recent report shows a different picture. According to Gartner, second quarter PC sales in 2012 stood at 87.5 million units worldwide, suffering a decline of 0.1 percent compared to the same period in 2011. Mikako Kitagawa, principal analyst at Gartner, said that the Ultrabooks had failed to boost PC sales. “Despite the high expectations for the thin and light notebook segment, Ultrabooks, shipment volume was small and had little impact on overall shipment growth,” he commented. Read our coverage on the Gartner's report here. Ultrabook buying guide: Does it make sense to buy one right now? yes it is good for gaming. how to reduce heating up of HP R-006TX while playing games?